Here's the deal, Union A.M.E. Church cares about one thing more than anything else, Jesus Christ. Union is a family of individuals that have found hope in Jesus, and simply want as many people as possible to experience that exact same freedom. 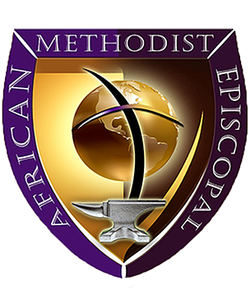 The African Methodist Episcopal Church, usually called the A.M.E. Church, is a predominantly African-American Methodist denomination based in the United States. It is the oldest independent Protestant denomination founded by black people in the world. It was founded by the Rt. Rev. Richard Allen in Philadelphia, Pennsylvania, in 1816 from several black Methodist congregations in the mid-Atlantic area that wanted independence from white Methodists. Allen was consecrated its first bishop in 1816. It began with 8 clergy and 5 churches, and by 1846 had grown to 176 clergy, 296 churches, and 17,375 members. The 20,000 members in 1856 were located primarily in the North. AME national membership (including probationers and preachers) jumped from 70,000 in 1866 to 207,000 in 1876. Union A.M.E. Church was started in 1905 by a trio of families. Back then, this trio of families imagined a church that was truly welcoming to everyone - where everyone had a seat at the table regardless of personal history, family background, ethnicity, or gender. Union held its first worship service in its new building on McEwen Street on June 7, 1906. It is the vision of Union A.M.E Church of Warwick, New York to work in our mission by building up our faith. We will build up by increasing our opportunities and commitment to study and spread the Word of God. We are committed to increasing our conversion and accession by 25%. We are also committed to increase the building-up of our youth through partnership. We welcome all believers into this house of worship. What's the bottom line? More than ever, Union A.M.E. Church is committed to fostering a family built around hope. Hope for the future. Hope for better. Hope for progress. Hope in Jesus. And as we move forward as a church family, inclusion and belonging remain at the center of who we are as followers of Christ. What does this mean for you? Most importantly, you're always welcome at Union A.M.E. Church. We're saving a seat for you. Wherever you're at in your faith journey, you'll always be accepted as part of the Union family.